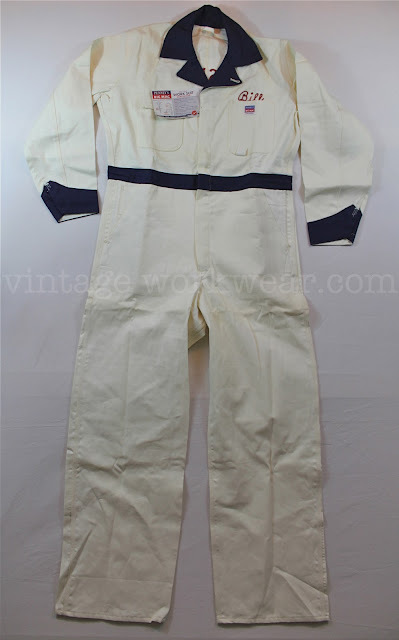 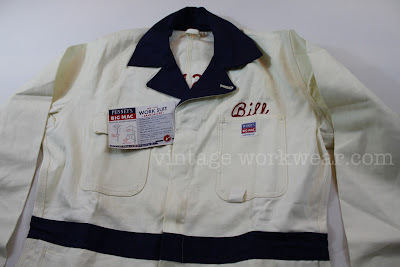 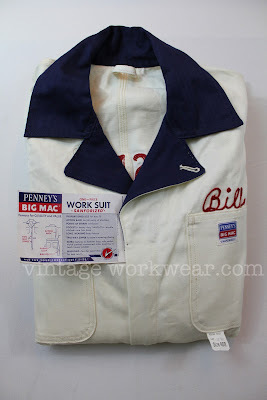 New old stock PENNEY'S BIG MAC one piece work suit with original flasher. This vintage suit features two tone •SANFORIZED• herringbone twill fabric and was customized with company name and employee chain stitching. 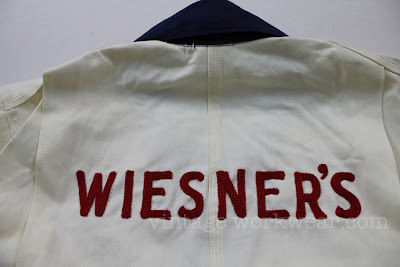 Details include ACTION BACK shoulder pleating for full range of movement, double stitched SAIL CLOTH pockets, BAR TACK stitching at points of strain and TWO WAY ZIPPER. 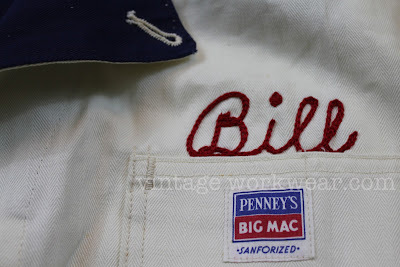 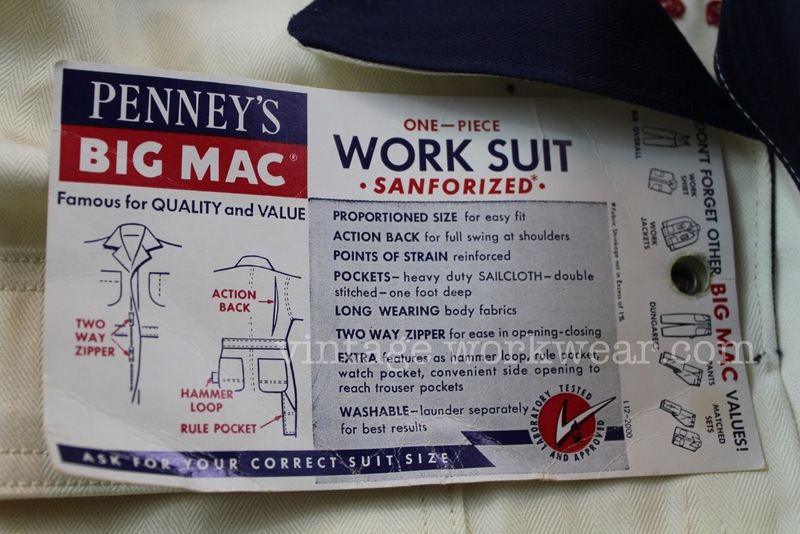 The PENNEY's BIG MAC front pocket label dates this coverall to the early 1950's.